The Black Ice Jacket is the most versatile down jacket ever created. 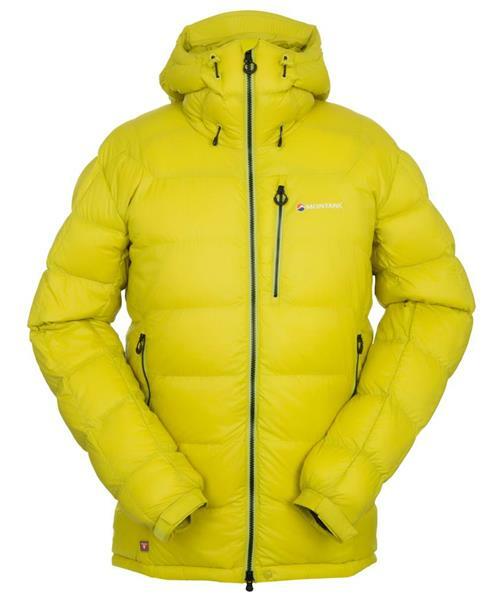 Designed for rugged mountaineering days, it utilises PrimaLoft® GOLD Insulation Down Blend that enables the insulation to dry faster and stay warmer for longer. It features zoned boxwall panels in the main body helping to reduce the number of cold spots and creating evenly filled panels of high quality goose down and synthetic blend. Combined with stitch through construction in the sleeves for low bulk and increased freedom of movement. The Black Ice is perfect for cold winter days and nights either on the move or resting. Black Ice Jacket - Mens is rated 5.0 out of 5 by 1. Rated 5 out of 5 by Jude from Awesome This jacket is super light and comfortable, and just as warm as my bulky heavy parka.